development, and operation of the network. 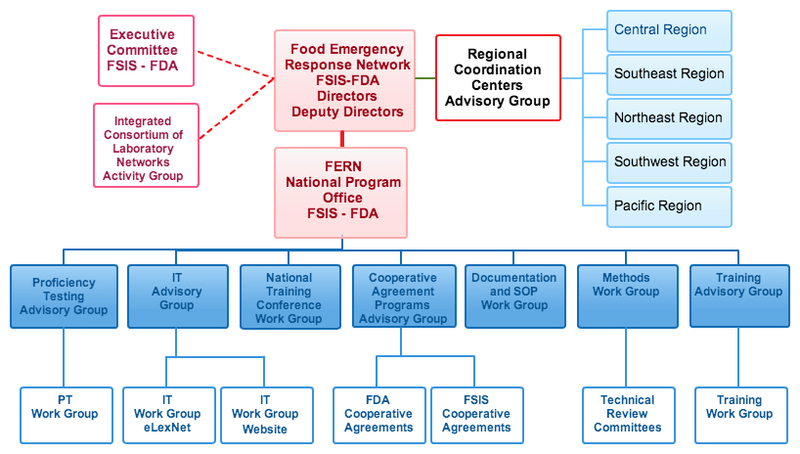 The Food Emergency Response Network (FERN) is composed of four components: the FERN Steering Committee, the FERN National Program Office (NPO), FERN Support Programs, and the FERN Regional Coordination Centers (RCCs). Organizations with representatives on the FERN Steering Committee include state agriculture, environmental, public health, and veterinary diagnostic laboratories as well as federal partners from Health and Human Services (Food and Drug Administration, Centers for Disease Control), United States Department of Agriculture (Food Safety and Inspection Service, Animal and Plant Health Inspection Service, Agricultural Marketing Service, Grain Inspection, Packers, and Stockyard Administration), US Customs, Department of Defense, Federal Bureau of Investigation, Environmental Protection Agency, and Department of Homeland Security. The FERN Steering Committee is co-chaired by senior executives from the USDA's Food Safety and Inspection Service (FSIS) and HHS's Food and Drug Administration (FDA) and the day to day operations of FERN are a joint venture between the USDA-FSIS and the FDA. The operational structure of FERN consists of the National Program Office (NPO) with personnel located in Athens, Georgia and Rockville, Maryland. Additionally, there are Regional Coordination Centers, (RCCs), located in each of the (5) FDA regions across the United States. The FERN has held Regional Coordination Center (RCC) meetings to establish operational and communication guidelines within each FERN region; communicating its objectives, policies and current activities; enhancing collaboration between FERN laboratories within a region, and providing an opportunity for individual regions to tailor response plans to their state policies and regional needs. The FERN National Program Office coordinates support program activities in the following areas: Method Development and Validation, Training, Proficiency Testing, Surveillance, and Electronic Communication. What is FERN's Organizational Structure? What are FERN's Support Programs? What is an Emergency Support Function? Upon completion, please download forms. The Food Emergency Response Network (FERN) integrates the nation's food-testing laboratories at the local, state, and federal levels into a network that is able to respond to emergencies involving biological, chemical, or radiological contamination of food. The FERN structure is organized to ensure federal and state inter-agency participation and cooperation in the formation, development, and operation of the network. The vulnerability of the nation's food supply to an intentional act of contamination is a credible concern to our government, food safety experts, and consumers. Surveillance programs designed to detect foodborne pathogens and toxins, enhance a regulatory agency’s ability to proactively assist with removal of contaminated product from retail shelves to protect the consumer as well as provide data to regulatory agencies regarding the risks and/or food safety practices associated with certain food commodities and manufacturers. The Colorado Department of Agriculture-Biochemistry Laboratory (CDA-BCL) has been funded by USDA FSIS FERN to perform targeted surveillance activities since 2008. As part of USDA FSIS microbiology surveillance testing, the CDA-BCL was the first FSIS FERN CAP laboratory to detect a food defense target in a retail food sample. The FSIS FERN-funded testing performed by the CDA-BCL led to a national recall of over 50,000 pounds of breaded chicken product due to detection of Staphylococcal enterotoxin (SE). 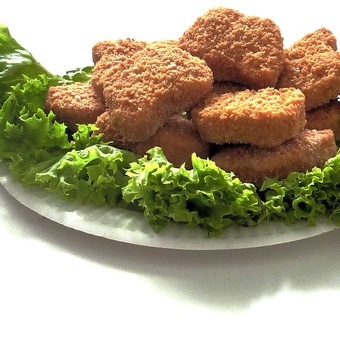 The CDA-BCL detected SE in two separate breaded chicken products from the same manufacturer. Results of this surveillance testing by the CDA-BCL and further investigation and testing by USDA FSIS led to a national recall of 31,689 pounds of breaded chicken product in October 2014 and a recall of 20,232 pounds of breaded chicken nuggets in July 2015. The CDA-BCL also isolated Salmonella enteritidis from the breaded chicken product. This isolate was matched through Pulsed-field Gel Electrophoresis (PFGE) and CDC PulseNet to an outbreak strain resulting in expansion of an on-going nationwide recall for Salmonella in chicken. Although Staphylococcal enterotoxins are indicative of poor hygiene practices and common, they are classified by Health and Human Services (HHS) as select agent toxins and pose a serious health risk to the consumer as the enterotoxins produced by the Staphylococcus bacteria are not inactivated by heat used in normal cooking temperatures. During the surveillance testing of breaded chicken products for SE, the CDA-BCL notified FSIS FERN NPO of a potential matrix interference issue with raw and/or breaded chicken. The CDA-BCL performed a sample extraction method comparison for extraction of SE from problematic matrices such as raw and breaded chicken. A method improvement suggestion was brought to FSIS FERN NPO and was fully supported. In addition, the SE identification test kit used by the FDA, USDA, public health, and FERN laboratory community for confirmation of SE in foods was being discontinued by the manufacturer. This created a testing gap in identification and secondary confirmation for samples which test “positive” for SE by the screening method only. Because validation of new methodology and enhancement of current FERN methods is a critical function of the FSIS FERN CAP and FERN mission, our laboratory has been able to expand on projects as needed. Through our funding and support from the FSIS FERN CAP, the CDA-BCL was able to lead a validation workgroup to address these method gaps and extraction method improvement issues. 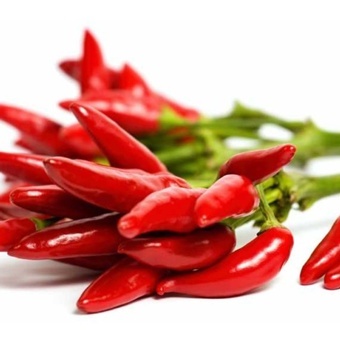 For FY17, a workgroup consisting of seven state FERN CAP laboratories was formed to validate a new ELISA test kit for the identification of SE type in FSIS regulated food. The workgroup performed a multi-laboratory validation for the identification of SE in FSIS regulated products using the RIDASCREEN® SE ELISA test kit. This workgroup is continuing method improvement work in FY18 to validate the use of a single extraction method for the detection and identification of SE in FSIS regulated products. The overall goal of this validation work is to provide FSIS FERN NPO with a validated method for testing FSIS regulated products and to provide a written procedure that can be used by the FERN laboratory network to enhance testing capabilities and further enhance FERN’s mission to be able to rapidly and accurately detect bio-threat agents in the nation’s food supply. 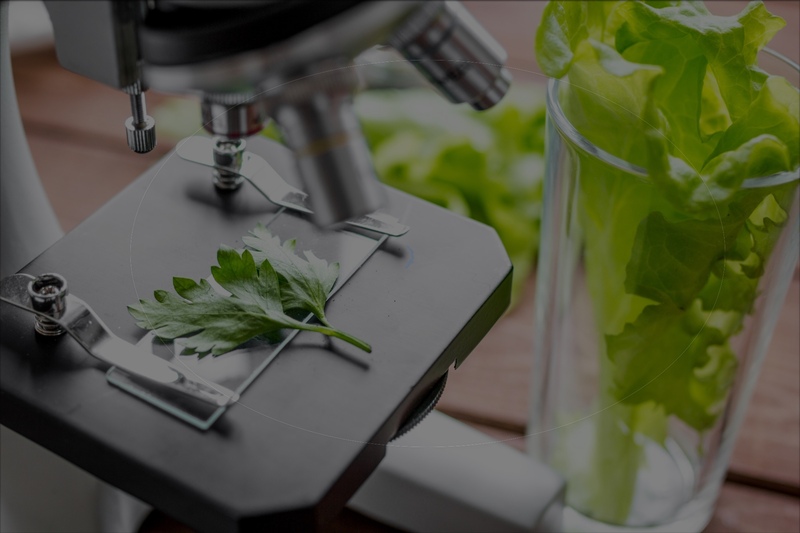 The CDA-BCL feels that the FSIS FERN CAP Microbiology Food Defense Surveillance program is critical to the FERN’s mission to rapidly and accurately respond to potential threats to the nation’s food supply. Through participation in the FSIS FERN CAP, the CDA-BCL was able to detect Staphylococcal enterotoxins in chicken products from the same manufacturer, which led to this product being removed from the retail market and potentially led to prevention of a future foodborne illness. The CDA-BCL has been able to dramatically increase our testing capabilities and we believe that this surveillance program has been improved by the lessons learned and procedural changes made to the program as a result of the recalls associated with this surveillance. In April 2015, routine surveillance samples of ice cream were submitted to the Nebraska Department of Agriculture (NDA) Food Laboratory. 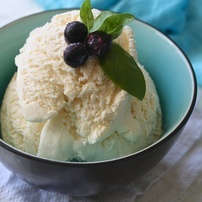 Screening and confirmation tests identified Listeria monocytogenes in one of the ice creams. The culture was sent to the FDA Denver District Laboratory for subsequent testing, which confirmed the finding. To protect the public, the manufacturer recalled all of their ice cream products and temporarily closed all retail scoop shops. The recall was reported by multiple national news organizations. No illnesses were reported related to this incident. This investigation showcases the effectiveness of an Integrated Food Safety System to prevent foodborne illness. The NDA Laboratory has been a FERN member since September 2005 and credits frequent participation in FERN capability and capacity exercises to maintaining operational readiness for food safety and food defense challenges. 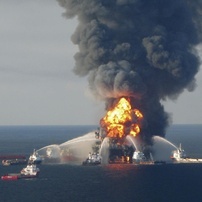 The Deepwater Horizon Oil Spill was caused by an explosion on a drilling rig on April 20, 2010 that released several million barrels of crude oil into the Gulf of Mexico until the wellhead was capped on July 15, 2010. The oil from the Deepwater Horizon well contaminated a large number of Gulf state fisheries in Louisiana, Alabama, Mississippi, and Florida which resulted in an almost total shutdown of the industry. NOAA, FDA and State governments all became involved in closing of state and federal waters to commercial fishing. The closures were based on the public health threat from contamination of seafood by polyaromatic hydrocarbons (PAHs), the principal toxicologic concern. To address this threat, a detailed state waters reopening protocol was implemented involving an extensive chemistry testing program. This protocol outlined specific levels of concern for each PAH that the labs were tasked to measure. FERN laboratories (including FDA Office of Regulatory Affairs Field Laboratories and FERN Cooperative Agreement Laboratories) were used to analyze these reopening samples. Two methods were used in the chemistry testing portion of the protocol, a method developed by NOAA and a PAH screening method developed by the FDA. FERN Cooperative Agreement Program laboratories were critical to the development and implementation of this PAH screening procedure. Without the analyses performed by FERN laboratories and the development of a rapid screening method, the safe and rapid reopening of the Gulf state fisheries would not have been possible. The FERN was activated in May, 2010. Immediately after, the FERN began to assess network capabilities and capacities for the NOAA method, and worked with selected FERN Cooperative Agreement Program laboratories to develop capability for this methodology in those laboratories. Additionally, the FERN Storeroom ordered and stocked standards and reagents required for performing the NOAA method. Reagent requests were filled on a prioritized basis, with first priority going to Gulf State laboratories and laboratories conducting FERN directed testing. Over the course of the FERN Activation, over 300 finfish, crab, oyster and shrimp samples from Florida, Alabama, Mississippi and Louisiana were analyzed for PAHs using the LC-MS alternative screening method as part of the state reopening process. Approximately 20% of those samples received parallel analysis using the NOAA method. In addition to the reopening samples, approximately 100 state baseline samples were analyzed using the NOAA method. The FERN was deactivated for this incident in November, 2010, but continues to support the PAH testing efforts of FERN laboratories in the Gulf. 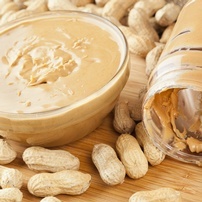 Fall 2008 and Winter 2009 brought an outbreak of 714 cases of Salmonella Typhimurium infection in 46 states linked to consumption of products containing peanut butter produced by the Peanut Corporation of America (PCA) Blakely, GA plant. Over 2800 products were identified that contained peanut butter produced by this plant. FERN laboratories were not officially activated, but there were strong contributions to the investigation from FERN laboratories in MN, MI, OH, and CT. FERN storeroom reagents were made available as well as technical guidance, methods, and molecular fingerprinting (PFGE) support. During the spring and summer of 2008, the 2nd largest outbreak of Salmonella Saintpaul ever reported in the United States was identified by PulseNet (>1400 cases) in 43 states, DC, and Canada. Initial epidemiologic reports indicated tomatoes as a potential common food source, but further investigation by the FERN and other public health agencies and laboratories led to the identification of an indistinguishable Saintpaul isolate from a jalapeno pepper which was traced back through a distribution center in Texas to a grower in Mexico. The FERN was activated and 12 FERN microbiology laboratories analyzed pepper, cilantro and basil samples collected through state and FDA coordinated efforts. FERN testing augmented and complemented concurrent FDA ORA testing efforts. All told, FDA tested a total of 1618 samples, and found 75 positives (39 unique Salmonella serotypes), and FERN tested a total of 290 samples, and found 13 positives (6 unique Salmonella serotypes). In 2008, melamine resurfaced as an adulterant added to infant formula and other food products (e.g. chocolate) linked to producers in China, and the FERN was activated. New HPLC-MS/MS methods were developed and validated by FDA for infant formula and other dairy products, and LC-MS methods with increased sensitivity over the melamine GC-MS method were developed and implemented as well. These methods were used by USDA, FDA, FERN, and the states in the analysis of milk based products for melamine. 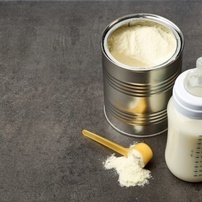 USDA and FDA have analyzed thousands of samples since 2007 for melamine and its analogs, and FERN chemistry laboratories assisted FDA in the CFSAN Melamine Import Assignment for the analysis of milk and soy protein based samples. FERN laboratories analyzed a total 340 samples, found 14 detections for melamine and/or analogs, and were a key factor in clearing an FDA sample backlog, which arose due to very high collection rates.